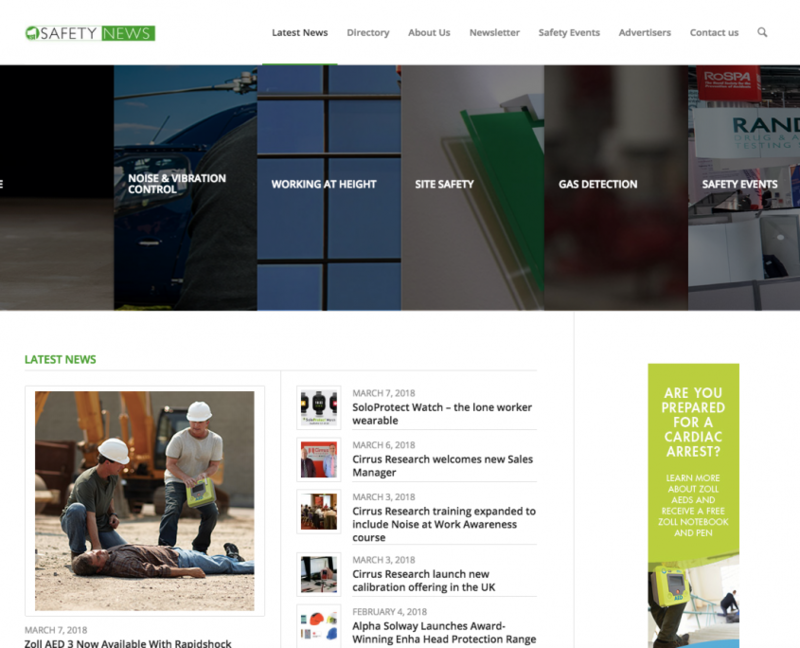 They are an online global portal showcasing the latest in safety news, products and services. Their goal is to help make your world a safer place. 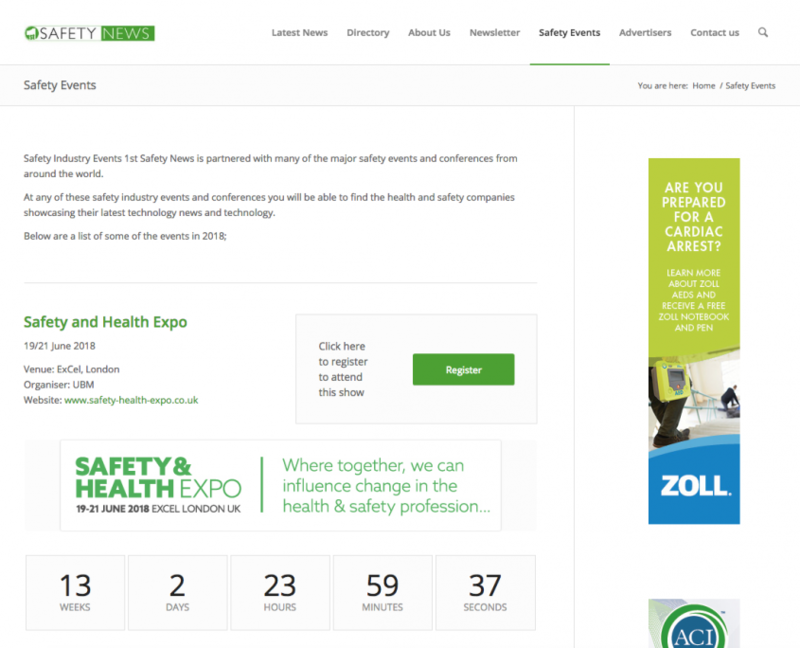 They offer a simple translation feature in 45 languages, informing thousands of safety professionals and keeping them up to speed on the latest advances in the industry. 1stsafetynews.com is a unique information centre giving the user simple, clean, up to date news, products and events. 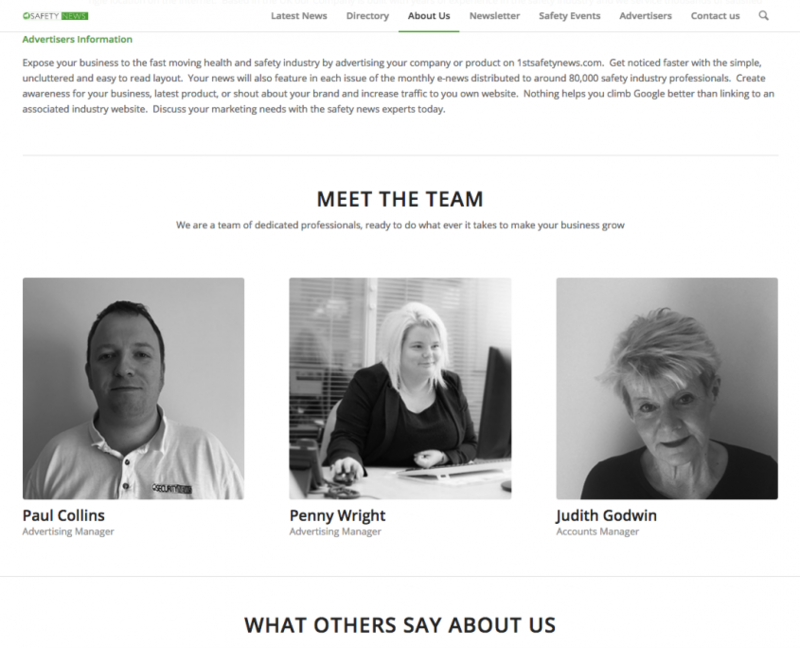 Their site connects the health and safety industry together in a single location on the internet. Based in the UK their Company is built with years of experience in the safety industry and they service thousands of satisfied customers. 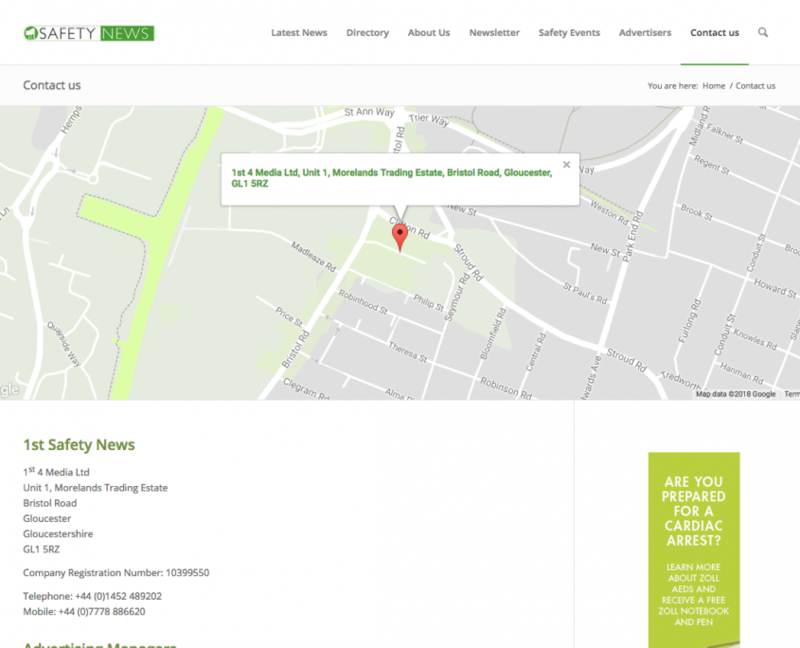 1st Safety News was established 10 years ago and the website has not been updated. They wanted a fresh new look for their readers.